With summer being here most of us are going to be spending a lot more time outdoors. The days are longer and the sun seems to shine brighter than ever. Most of us are ready and willing to soak up the happiness….and the sun. But as you well know, the more time we spend soaking up the rays, the more at risk we are of skin damage. It isn’t just sunburn that you’ll have to worry about if you forget to protect your skin from harmful rays. There’s skin discoloration, dry skin, wrinkles and worse. 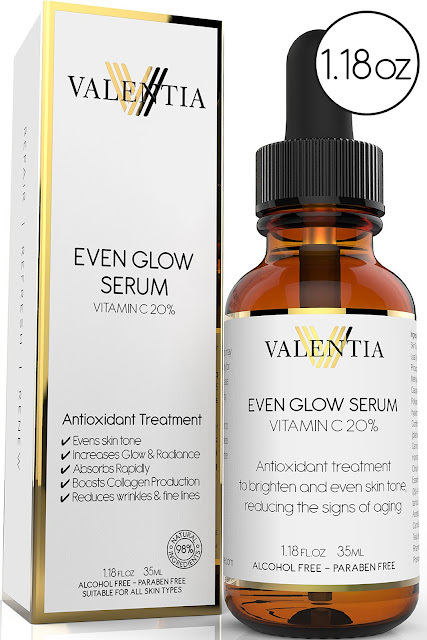 Now that the bad news is out of the way, let’s talk about the good news: Valentia’s Even Glow Serum. Made with 98% natural ingredients, this serum is packed with extremely powerful antioxidants that reverse the signs of aging and protect against environmental pollutants. Not only will you help to protect your skin but you can lock in extra moisture due to the super skin oils included in the ingredients. Never forget to use your trusty hat and SPF, but this serum will help to repair and renew your skin so you are a step ahead before you step outside. 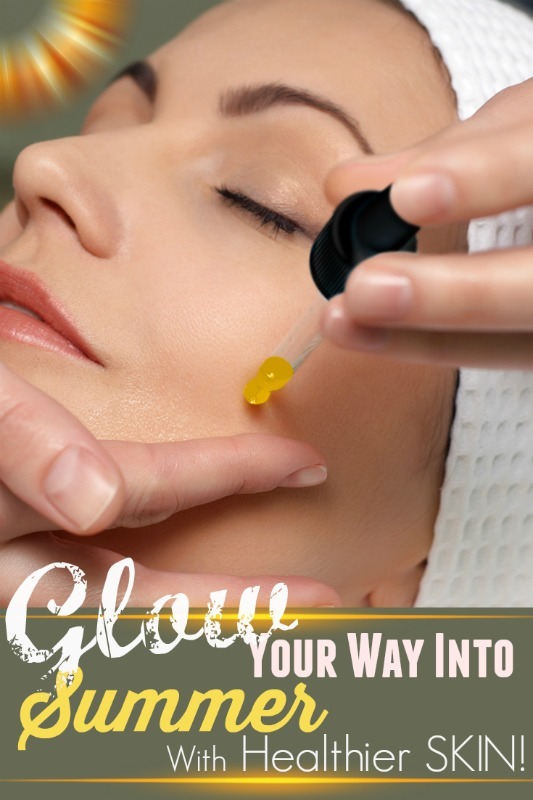 Your skin will look amazingly radiant, smoother, younger and flawless. Sounds like a great way to start and end the summer, right? Our friends at Valentia, are having a Glow Your Way Into Summer promotion where you can get 40% off this must-have skin revitalizing serum. In anticipation of summer you can get your bottle at 40% off! Use the coupon code *SUNNYGLO* for 40%! The team over at Valentia are always adding new products and I am excited for what’s to come this year. Here’s to a happy summer and a gorgeous complexion!